Made available to client at the most reasonable rate possible, the offered range of Helical Gear Shaft is highly praised and preferred in the market. Manufactured in compliance with the set industry norms and guidelines, its quality never deteriorates. Further, its dimensional accuracy, resistance to corrosion and strength, is owed to the finest raw materials applied in its making. 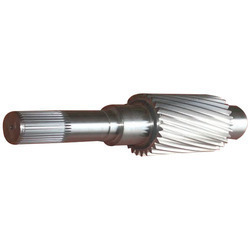 Looking for Helical Gear Shaft ?